Hotline Miami is a high-octane action game overflowing with raw brutality, hard-boiled gunplay and skull crushing close combat. Set in an alternative 1989 Miami, you will assume the role of a mysterious antihero on a murderous rampage against the shady underworld at the behest of voices on your answering machine. Soon you'll find yourself struggling to get a grip of what is going on and why you are prone to these acts of violence. Rely on your wits to choreograph your way through seemingly impossible situations as you constantly find yourself outnumbered by vicious enemies. The action is unrelenting and every shot is deadly so each move must be quick and decisive if you hope to survive and unveil the sinister forces driving the bloodshed. Hotline Miami's vague and unsatisfying ending may irritate some, but it shouldn't stop you from enjoying this wonderful barrage of the senses. Hotline Miami is a discotheque of death that's very hard to walk away from, and a fantastic twitch shooter with a confident sense of style. Many games attempt to use story to explain away the massacre of outrageous numbers of victims. 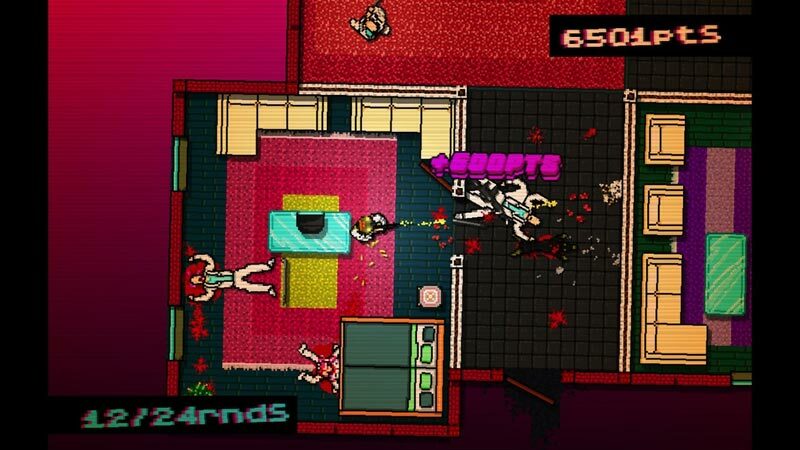 Hotline Miami bathes in the thrill of murder, and cares little about justifying its actions. 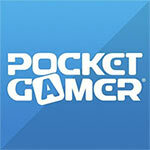 If you're new to Hotline Miami, and you want to play on handheld, you should definitely check the game out on Vita. If you have a PC, though, that remains the best way to play the game on a big screen, as the controls work better with a mouse and keyboard. 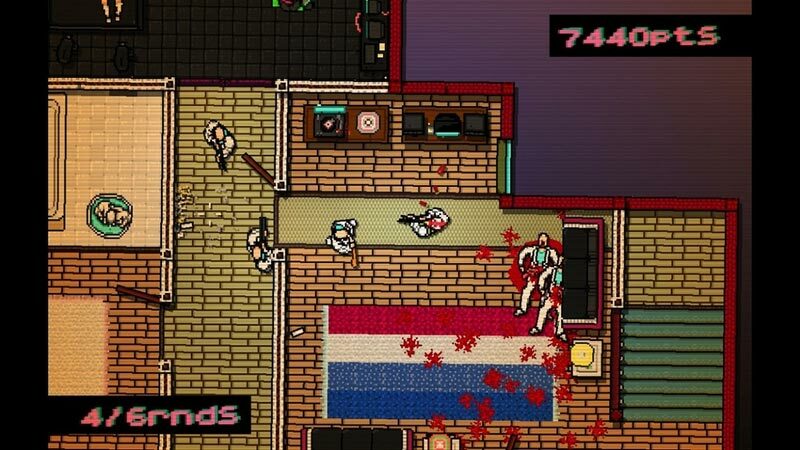 Hotline Miami is the same great game you've probably already played, but it's portable now! The new control scheme is vastly superior to the keyboard and mouse, and purchasing the game on PSN gets you the Vita and PS3 versions. Win, win, win. Pick it up. Wrap it up with a bizarre story and a cool 80s vibe, and Hotline Miami is one of PlayStation Vita's guiltiest pleasures, a blood-soaked, retro-inspired homage to the most difficult video games ever conceived. So long as you're of age, it comes highly recommended. 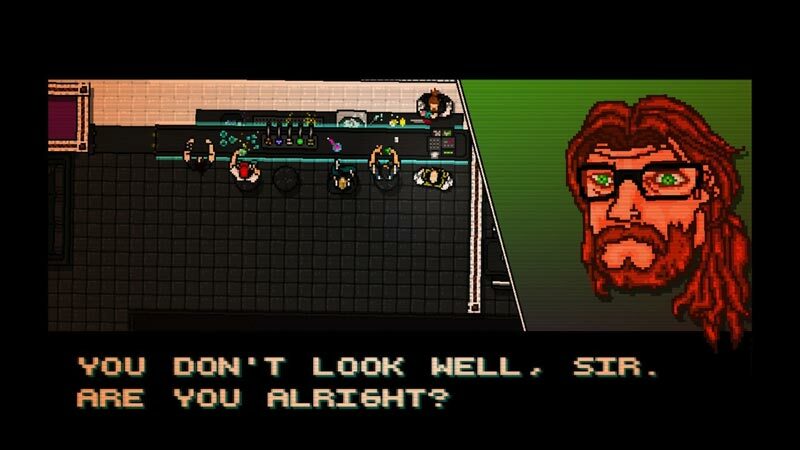 Hotline Miami admirably does its best to provide an answer. You'll find it buried deep beneath the game's surface â figuratively and literally. It has more to say about our fascination with violence in games than the lion's share of its competition. That the killing is fun made me feel all the worse. Which was the point. 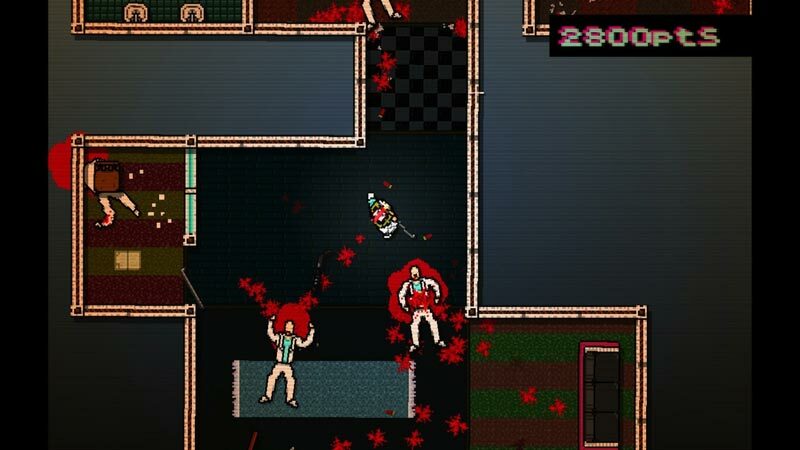 Hotline Miami is exceptional not because it's violent, but because it's violent for a reason. The beauty of such a statement, however, is how good people often are at proving them wrong: after a while there's every chance new ways of approaching each miniature hub come to light. 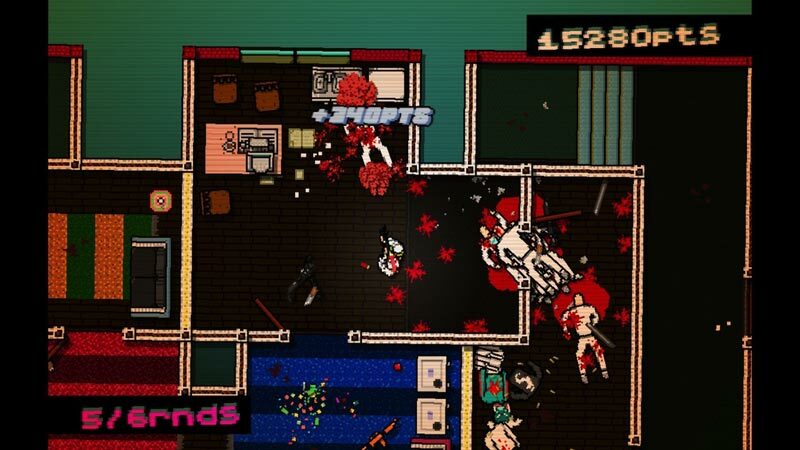 Either way, Hotline Miami remains ridiculously moreish and opening up how many individuals have access to it - much like Minecraft on the 360 - can only be a good thing. The atmosphere of Hotline Miami is great. While the retro 2D top-down environments aren’t much different than an old school RPG or adventure game, the visual filters, soundtrack and ultra violence really make you feel less like an adventuring hero and more like you’re slowly becoming a murderer-for-hire with a tenuous grip on sanity. Hotline Miami’s intense challenge, deep narrative, and penchant for extreme violence mix together to create an intoxicating cocktail which once again brings up that age-old argument of whether or not games should truly be considered art. We’ll leave you to wrestle with that particular quandary, but Hotline Miami is arguably as subversive and shocking as anything the mediums of film, music, or literature can produce — and it’s bloody good fun at the same time, too. Simplemente espectacular. Hotline Miami es un interesantísimo juego descargable gracias a su impactante puesta en escena, adictiva jugabilidad y lo enigmático de su argumento. Es verdad que podría haber sido algo más largo, que la IA de los enemigos debería estar más pulida, o que su apartado gráfico no saca todo su potencial; pero el delirante viaje que propone a través de la mente de un asesino es tan condenadamente bueno, que su compra es muy recomendable. Doch man kann sich der Sogkraft kaum entziehen, die durch die einerseits explizite, andererseits auch durch den Grafikstil vollkommen absurde Gewalt, die abstruse Geschichten, den treibenden Soundtrack sowie durch die ungewöhnliche, unheimliche Atmosphäre entsteht. Eine gelungene Konvertierung eines in vielerlei Hinsicht unkonventionellen Spiels. Mieux vaut être prévenu, Hotline Miami n'est pas un titre à mettre entre toutes les mains. Vous risquez fort, en effet, d'être rebuté par son extrême violence, son look rétro et son gameplay intransigeant. Mais si vous êtes un joueur nostalgique accro au sang, au pixel et au challenge, vous ne pouvez pas passer à côté de cette perle à l'état brut qui pourrait bien vous faire perdre la raison. Honestamente, Hotline Miami não se resume a estas qualidades. É daqueles jogos que têm mesmo que ser experienciados na primeira pessoa para se perceber o gozo tremendo que dá. Mas é mais que um guilty pleasure. Sim, há muita violência e gore envolvidos e fazem parte da sua identidade, mas o que seria de "Scarface" sem estes elementos? In attesa di scoprire maggior informazioni sul già annunciato seguito sottotitolato "Wrong Number" (in arrivo a fine anno su PC e Mac), possiamo tranquillamente consigliare l'acquisto di Hotline Miami a tutti quanti, a meno che non siate persone che si impressionano facilmente, o che si arrendono facilmente se non riescono a completare un obbiettivo. Die keiharde methode zal niet iedereen kunnen bekoren maar dat is dan ook niet het doel van de ontwikkelaar geweest. 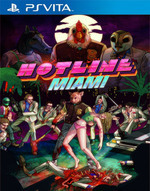 Hotline Miami trekt zich los van de hedendaagse conventies en bezorgt een ervaring die weinig andere games in 2013 zullen kunnen leveren. Het spel maakte vorig jaar al indruk op de PC en is bijna een jaar later even indrukwekkend goed op de PlayStation 3 en Vita.